When working in sensitive surgical environments, it's vital that the hand protection used is comfortable for the surgeon as well as sterile and safe for the patient. With a thin design, the Medline Signature Latex Essential Powder-Free Surgical Gloves MSG59 provide optimum tactile sensitivity for precision surgical tasks. A tapered and beaded cuff reduces roll down, making these gloves ideal for prolonged procedures. The product code for these gloves is MSG59. Please note that an additional two digits denote the glove size, e.g. MSG5980 for Size 8. The Signature Latex Essential Powder-Free Surgical Gloves feature the exclusive Medline SH8 glove mould with an independent thumb design. This allows for an anatomical fit and more natural movement in the fingers, thumb and palm. A powder-free design helps to reduce powder-related skin irritation, as well as post-operative conditions associated with granulomas. The Medline Signature Latex Essential Powder-Free Surgical Gloves are sterile surgical gloves which have been specifically developed for use in operating theatres. 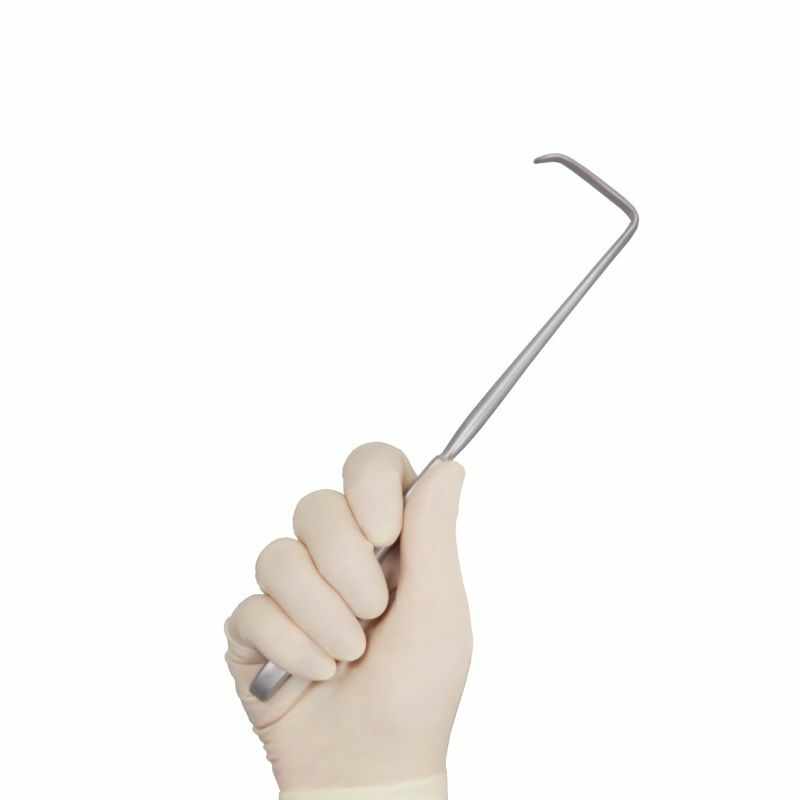 They are ideal for general surgical applications. The Medline Signature Latex Essential Powder-Free Surgical Gloves are available in eight different sizes, making them suitable for most users. Please consult the table below for details and select the appropriate size for you from the drop-down menu above. Please note that to ensure the highest level of quality for our customers, the Medline Signature Latex Essential Powder-Free Surgical Gloves MSG59 are not suitable for return. If you are unsure about the suitability of these gloves for your purpose, please check with our customer care team on 020 7501 1104 prior to purchase.